The Prime Minister’s digital services chief reveals how the country plans to rebuild citizens’ trust with digital services. Peru has had a fraught history of corruption. With three corrupt ex-presidents, many citizens have since lost faith in the government. 80% of Peruvians believe that government officials serve only their own interests – and often at their expense, according to the 2017 Latinobarómetro survey. But one team wants to prove this wrong. “Sometimes people think that governments are corrupt, and everything is trash inside, but that’s not 100% true,” says Sergio Pancorbo, the leader of GOB.PE, Peru’s digital transformation team based in the Prime Minister’s Office. Pancorbo leads the country’s e-government initiatives, working with ministries to improve public services for citizens. “We’re like a SWAT team. We go to different ministries attempting to change everything internally,” he says. In an exclusive interview, Pancorbo shares how his team is redesigning public services in the language of the citizen. The Peruvian digital unit’s vision is to create a state that is closer to citizens and “make sure we have everything online by 2030”, Pancorbo says. To get there, it has to address major problems in how the government delivers services. Public services were also a complex landscape to navigate, leading to corrupt “third parties” who offered to help citizens complete government procedures. “There are people who are taking advantage of this uninformed citizen, unguided citizen in that space of corruption,” Pancorbo says. GOB.PE is in a powerful position to make these changes, thanks to its location in the Prime Minister’s Office. This is similar to the structures of digital service units in the UK, Australia and Singapore. 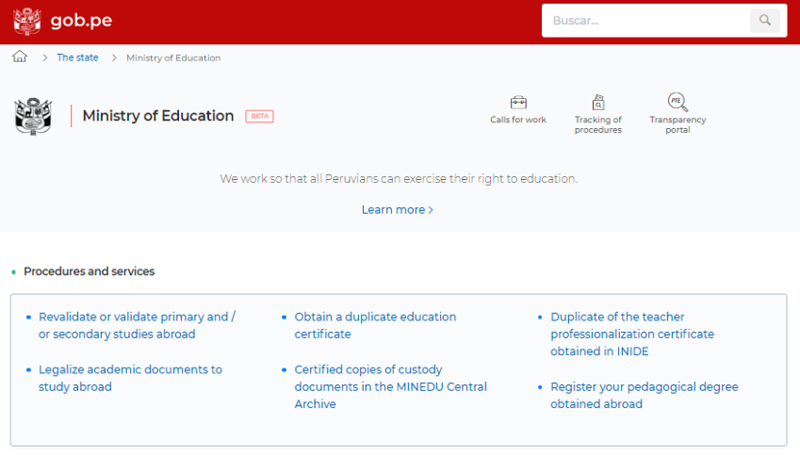 Peru has adopted its approach from the UK’s Government Digital Service, whose founders argue that only a centrally positioned unit has the incentives to drive a user-centred government, like the one Peru wants to create. Peru’s team is strengthened by legal backing. Earlier this year, the government issued a law mandating that “all public entities have to find a ‘digital leader’ to coordinate everything related with the digital government projects”. Denmark, the world leader in digital government according to the UN, also has a digital-first law that requires citizens to transact with government digitally. An area where Pancorbo’s team could make a difference is to tackle corruption in procurement. Earlier this year, then-President Pedro Pablo Kuczynski was accused of receiving bribes from a major company in exchange for $12.5 billion in contracts. Such incidents have caused government contractors to lose trust in the government. Vendors had to visit multiple government websites to gather tendering information, which made the process opaque and frustrating. “Even if it’s the same [public] office, they have three or four platforms where information was shown in a different way,” he admits. As a result, contractors had to visit multiple government websites to gather information. The GOB.PE team is now working with the Supervisory Body of State Contracting to simplify the procurement process. It has made information on government contracts available online on a single platform that was launched earlier this month. The platform makes information on contracts readily available online for companies, reducing the chances of backend deals with government officials. The move “helps to recover the trust that is needed from the supervision office to the contractors,” says Pancorbo. The move “helps to recover the trust that is needed from the supervision office to the contractors”. Meanwhile, he is exploring ways to make Peru’s digital identity easier to use. Its e-identity project is already considered the best in Latin America, but Pancorbo is conducting user research to find out how it can be simplified further. Citizens shouldn’t need to prove their identity to ask a question on a public page. But a more sensitive service, like one involving financial transactions, would require citizens to provide a digital certificate. “We can propose mechanisms of identification depending on the operation that the citizen is doing,” he says. The team has interviewed 80 citizens and public servants so far to understand these scenarios. An upcoming project for Pancorbo is to digitise the way citizens report crimes. Currently, residents must visit police stations and fill in a form to do this. “We won’t put people in that situation of going to a police station after being robbed and victimised,” he notes. One website that the team has revamped is for the Ministry of Education. Its previous iteration overloaded citizens with too many words and pictures, hindering users from seeking the services they need. There is “a lot of information because that’s what the government wants to put to them, but it’s not necessarily what is useful for the citizen,” Pancorbo says. One insight was that citizens wanted to instantly see the services that they need, and this understanding eventually shaped the website’s final design. Services appear right at the top of the redesigned education website and “explains step by step what the citizen needs”. Peru’s effort to engage users stands out on the international stage. It has risen 46 places in the 2018 UN e-Participation rankings, which measures information sharing, consultations, and citizen engagement in decision making. These changes will help rebuild citizens’ trust in the government, Pancorbo believes. Transparency comes as “a natural consequence of digitising services”, he says, allowing citizens to track and record government processes online. For instance, the Ministry of Transport and Communications approached them to improve citizens’ experience of receiving their first driver’s license. Through interviews with citizens, the team found that newly-licenced drivers were anxious about driving on roads. Drivers “didn’t have any experience driving in streets, because they were practicing in driving schools”, Pancorbo says. Their fear of driving on roads eventually caused many road accidents, he adds. To improve road safety, the team focused their attention on one particular bottleneck for new drivers: the provisional licence, which allows beginners to drive on streets with an accompanying mentor. The previous application process was cumbersome: it took five days and applicants had to personally make a trip down to the offices of the transport ministry. Peru’s digital unit built an online platform that shortens this process. “Now it takes five minutes, and you can do it online,” he says. The team took an agile development approach to build the platform, collecting feedback from citizens during beta testing and making small changes as they went along. 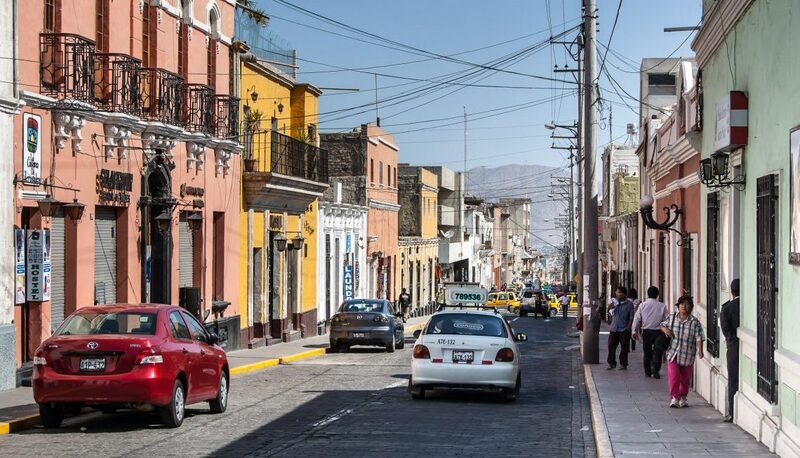 Recruiting talent for new government roles, like user experience designers and service designers, has been tough in Peru. “Half of the day I’m just thinking of hiring and talking to people where to find talent that want to come to work with us,” Pancorbo says. Advice from other digital government teams comes in two flavours. Paul Shetler, a former civil servant from the UK and Australian digital units, recommends attracting people by showcasing what’s unique about them: a chance to do meaningful work that makes a difference in people’s lives across the country. Meanwhile, Estonia’s Government CIO, Siim Sikkut, has chosen largely not to compete with the private sector for talent. The country has 1.3 million people and a strong tech startup culture. The government has worked with this private sector community to build and deliver world-class public services. With Peru’s history of corruption, there is a long way to go for the government to win over people’s trust. But digital could enable the country to re-engage an unhappy population.